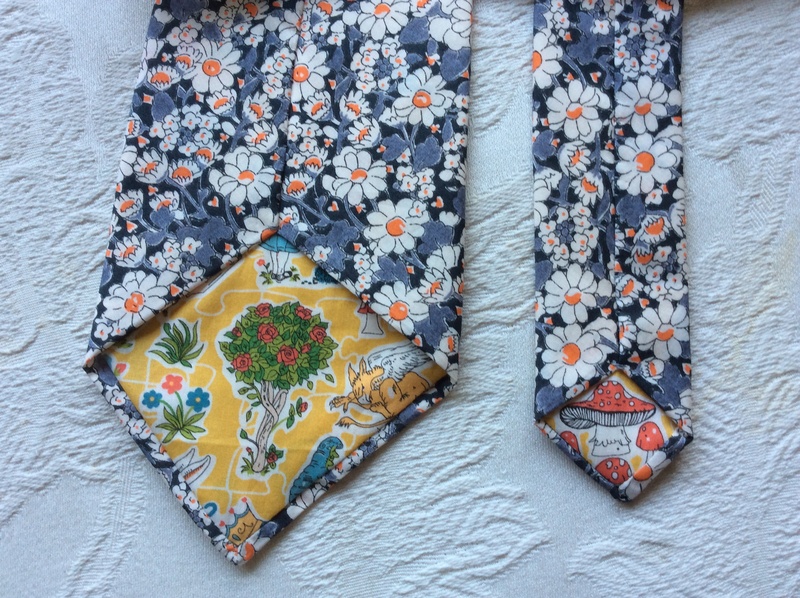 I made a tie for my husband’s birthday which is …..today! 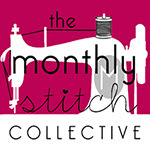 I completed this as part of the May’s Menswear and Childrenswear Challenge for The Monthly Stitch Collective. So whilst it was made in good time, I held on until today in order to try and get a photo of him wearing it but before that ….. Childrenswear. I have not had a lot of success with this. 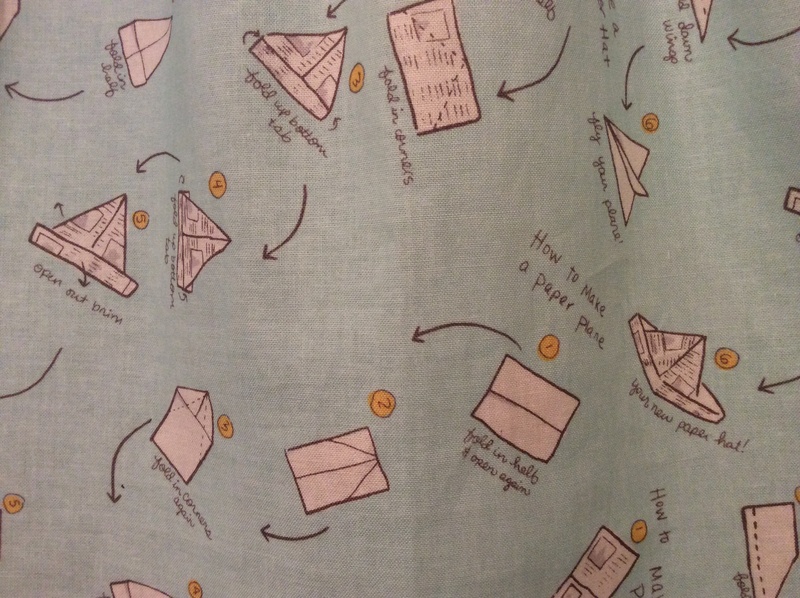 Sometime last year in my early sewing enthusiasm I made the little people matching dresses in fabric which I thought was gorgeously nostalgic (for me) called Making Paper Planes. I really messed up the yokes and ended up having to get the textiles teacher at school to give me a hand. 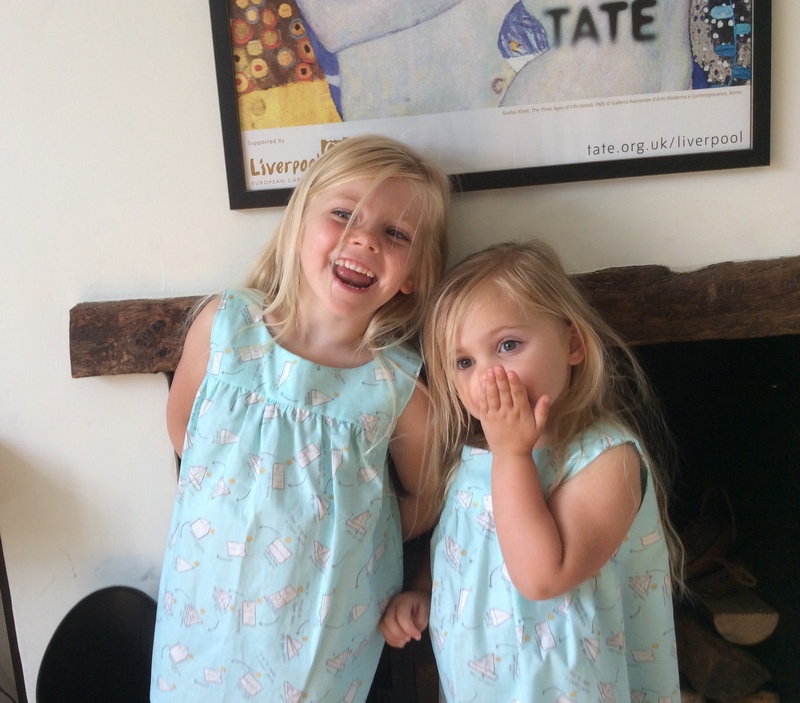 Would you like to guess how many times these dresses have been worn? Twice and one of those times was to take the photos. 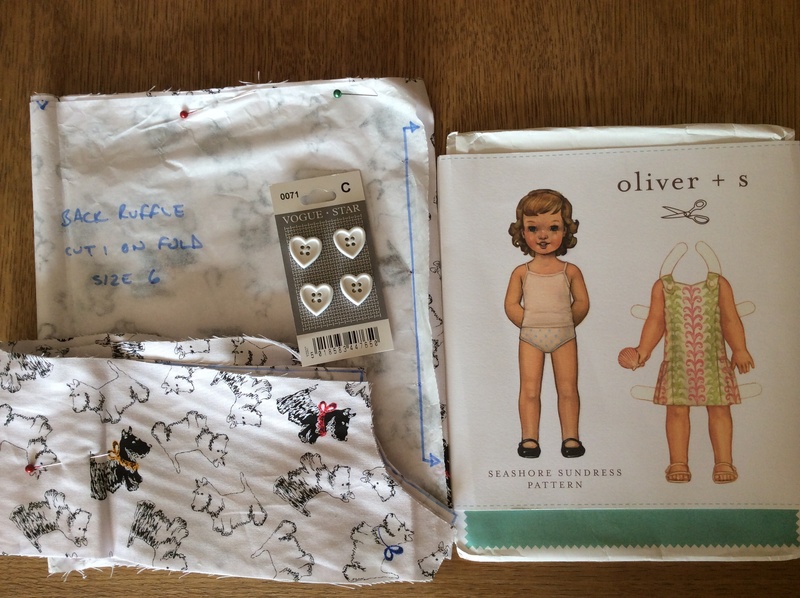 So I was dubious about attempting another childrenswear pattern but I do like to attempt the challenge so I bought what I thought was a funky Oliver and S pattern for the Seashore Sundress and decide to make it a joint enterprise. Annoying I decided not to cut out the pieces for the pockets but when I went to sew it up realised that without the pockets there would be a big gap in the ruffle skirt- Grrrr. At that point we both lost enthusiasm and sadly this is the current state of the dress. I will come back to it but not sure when! Anyway, the menswear part of the challenge was more successful. 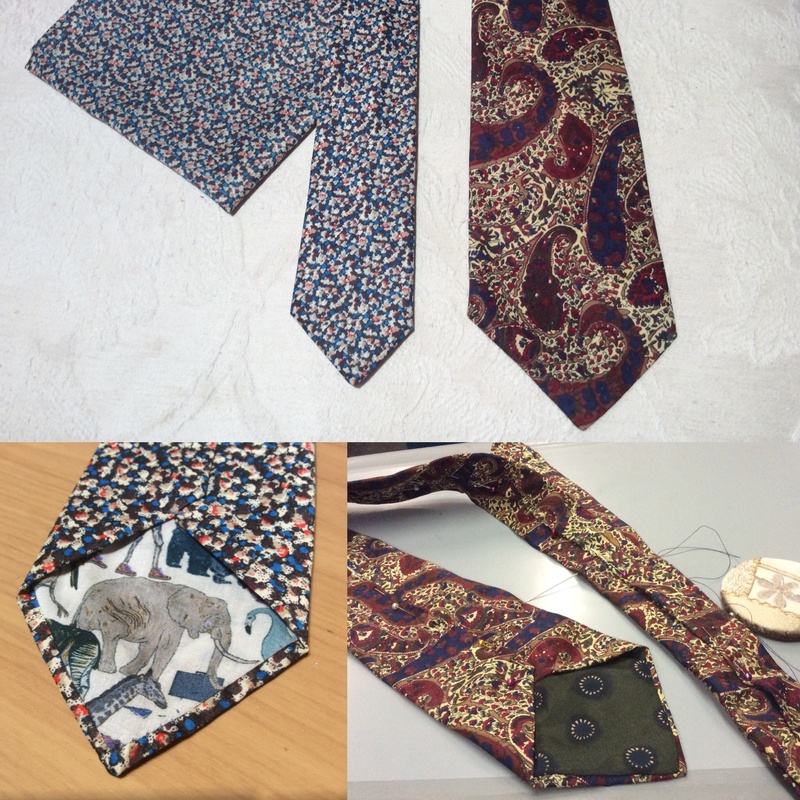 I had already made a tie at a Clothkits workshop in December so had a pattern. I really like tie making. 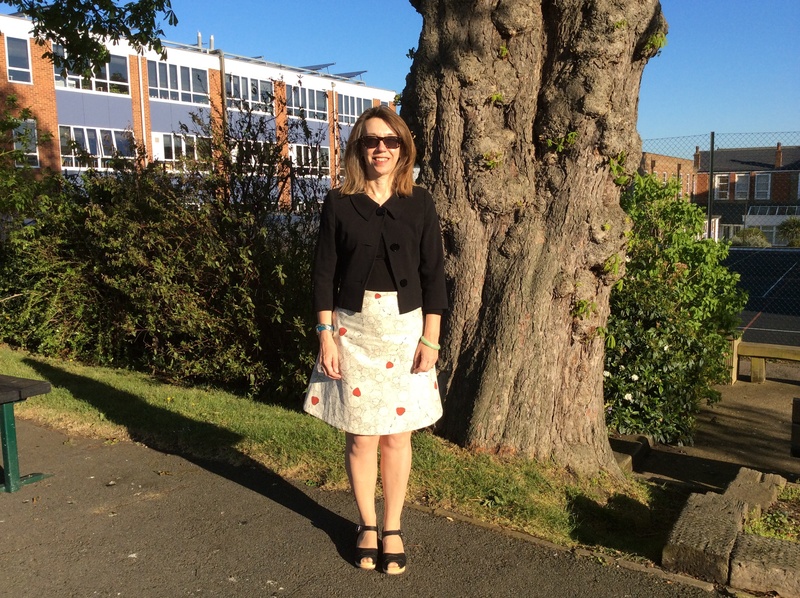 I used some glorious Liberty Tana Lawn from this season’s Alice in Wonderland collection. I decided to use some little offcuts from another design in the collection and am very pleased with my placement. 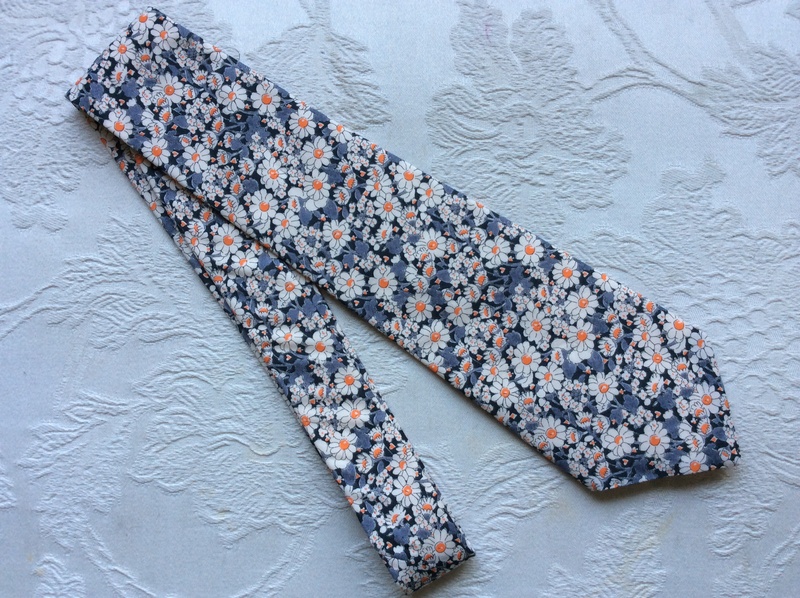 I think ties make lovely gifts and I find them very calming to make. 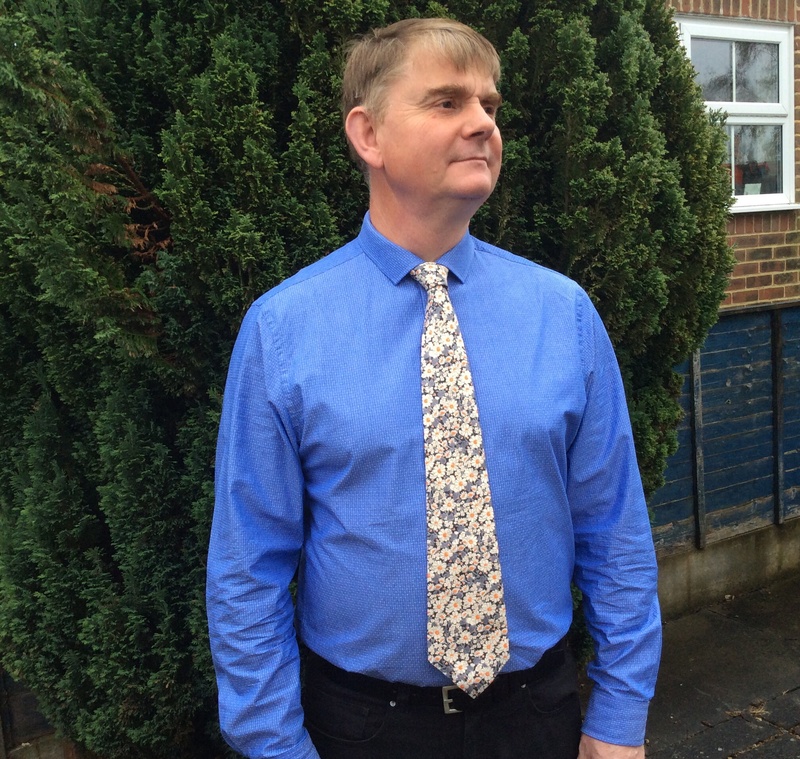 There is a fair bit of hand-sewing with a tie and I even did some on my morning commute! …. and here is the Birthday Boy wearing it – not happy that it’s raining or that he has had to put on a shirt on a Sunday for me to take a photo! 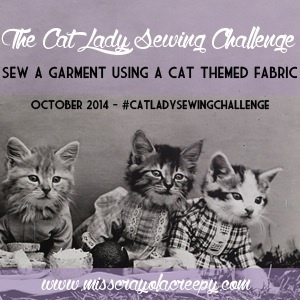 Next month’s challenge is Indie Patterns – the Big Four would be more of a challenge for me because so far I have only sewn Indie. 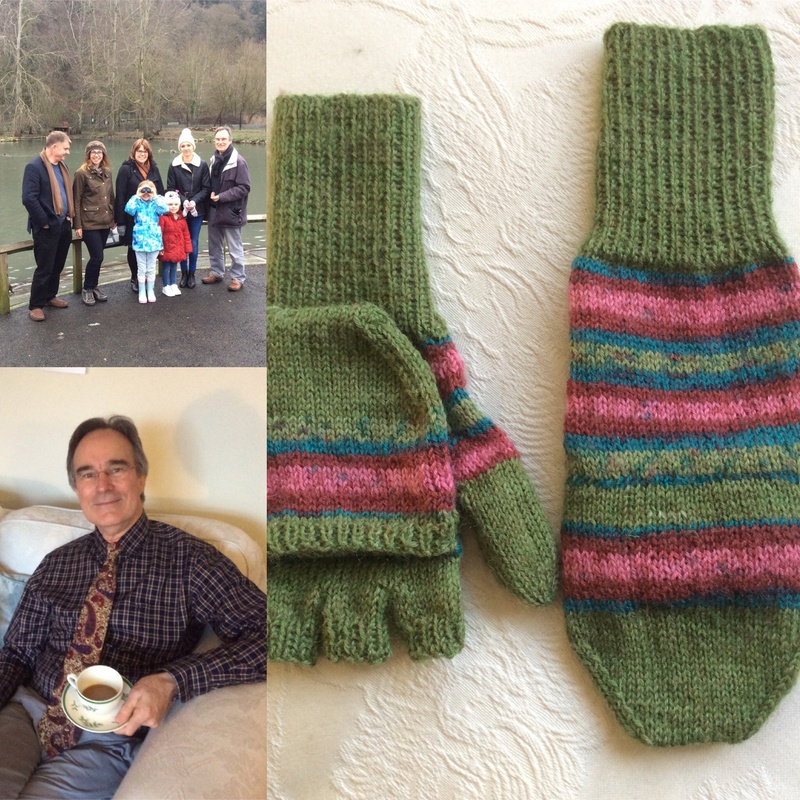 The Great British Sewing Bee is dear to my heart and I thoroughly enjoyed the first episode of series three. 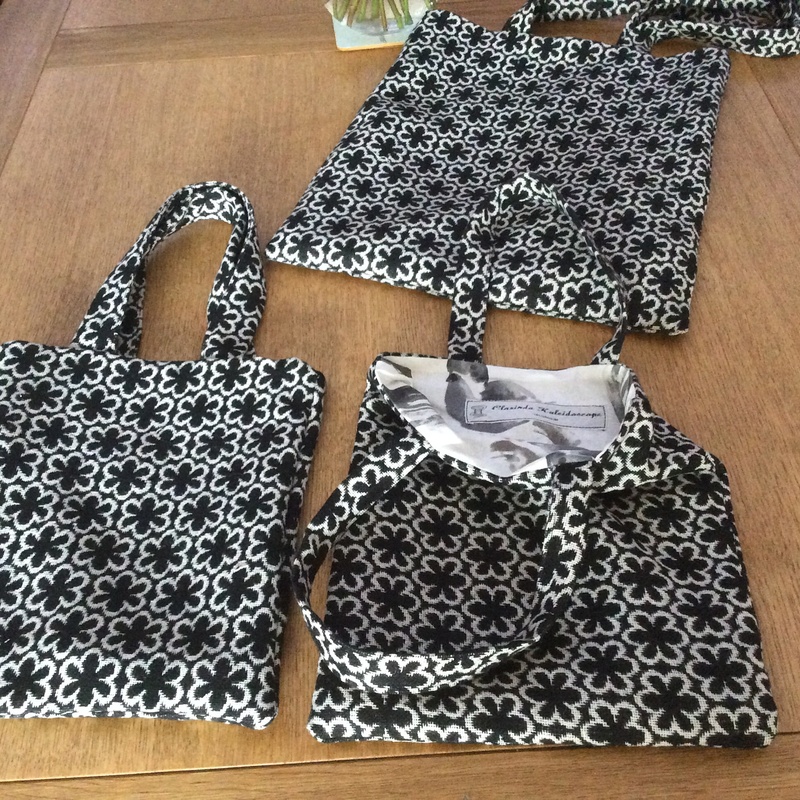 I felt so inspired to sew at the end of the second series I booked a workshop which offered to teach basic skills to enthusiastic beginners. The Easter workshop, at Cloth Kits, Chichester was called Make your Mother proud; I think it more likely she would have been bemused. 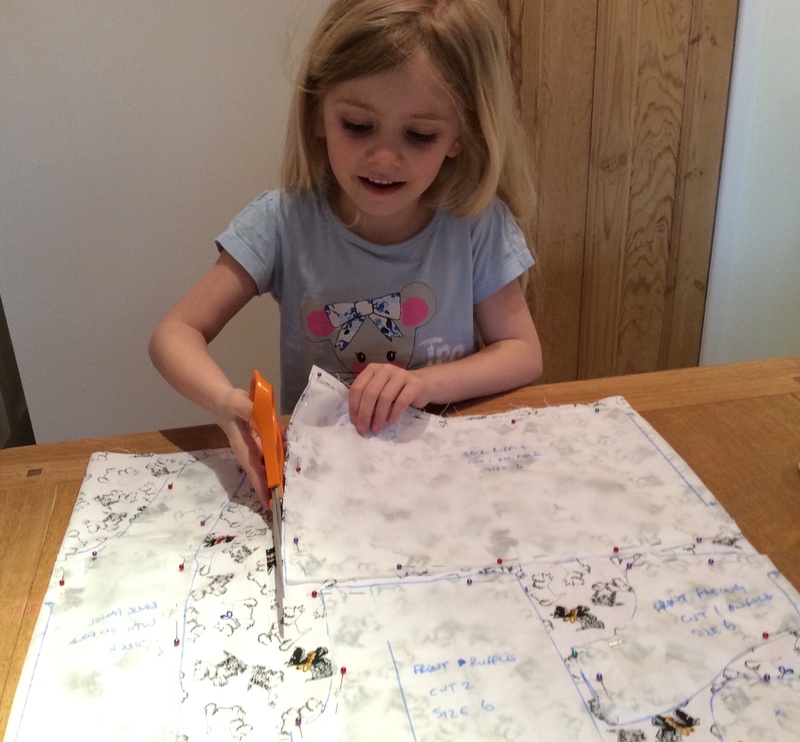 The workshop confirmed my new passion and I went straight to John Lewis and bought a Janome sewing machine. 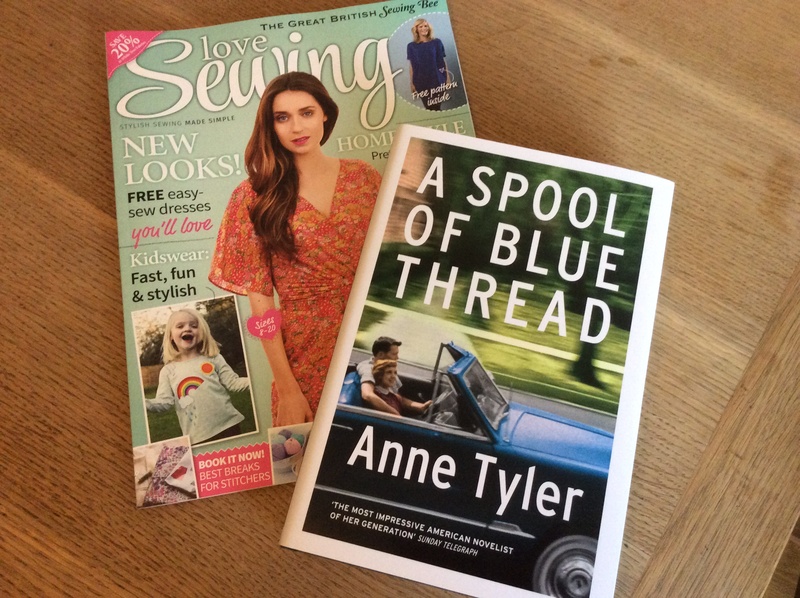 I then discovered sewing blogs and a whole new world of inspiration opened up to me: Scruffy Badger; Handmade Jane; House of Pinheiro; Lladybird, Dolly Clackett and Did You Make That. 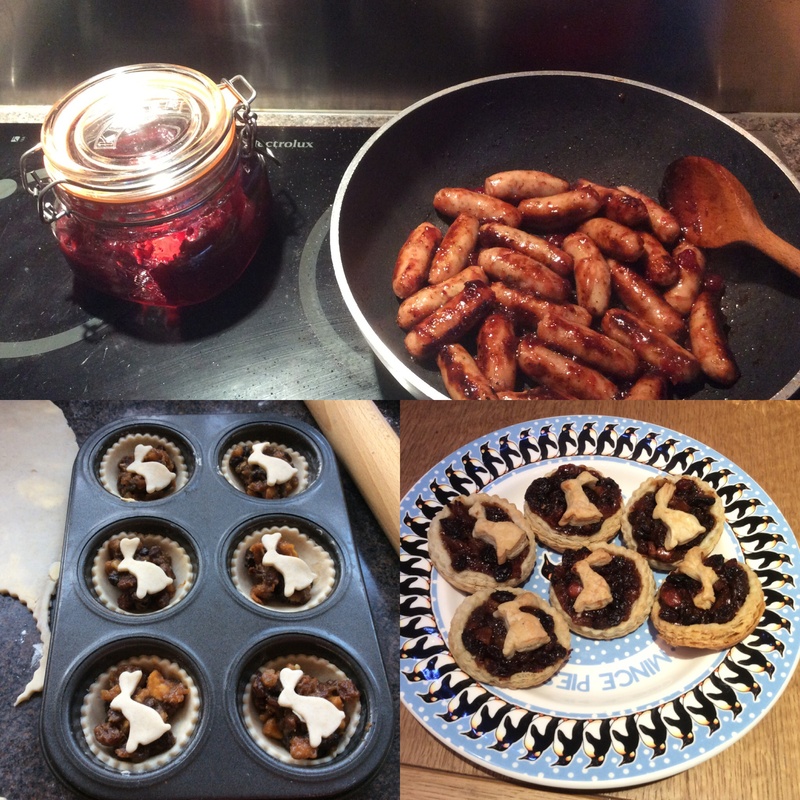 With only basic skills I became a little like Catherine Tate’s character who always said “I could do that“- only with me it was “I could make that”. 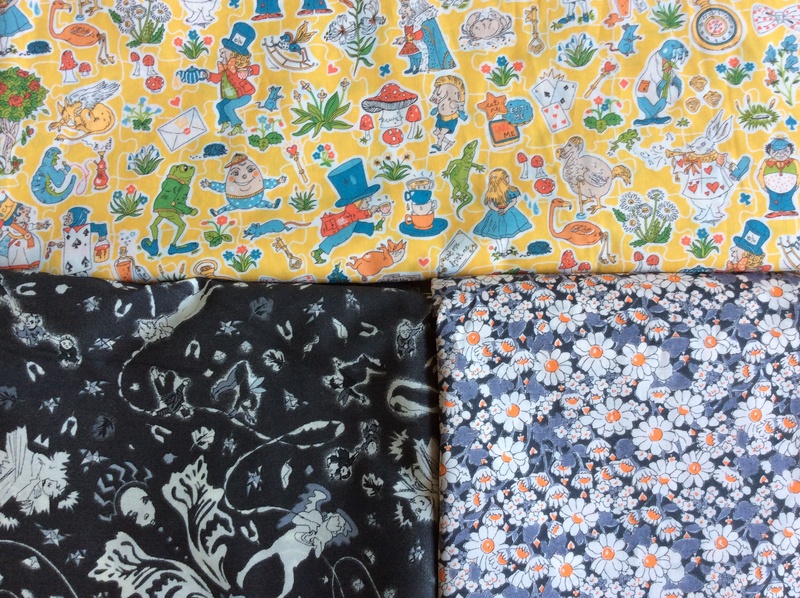 So, the beginnings of an addiction was born; following sewing blog royalty, I emulated choices and bought patterns and fabrics. 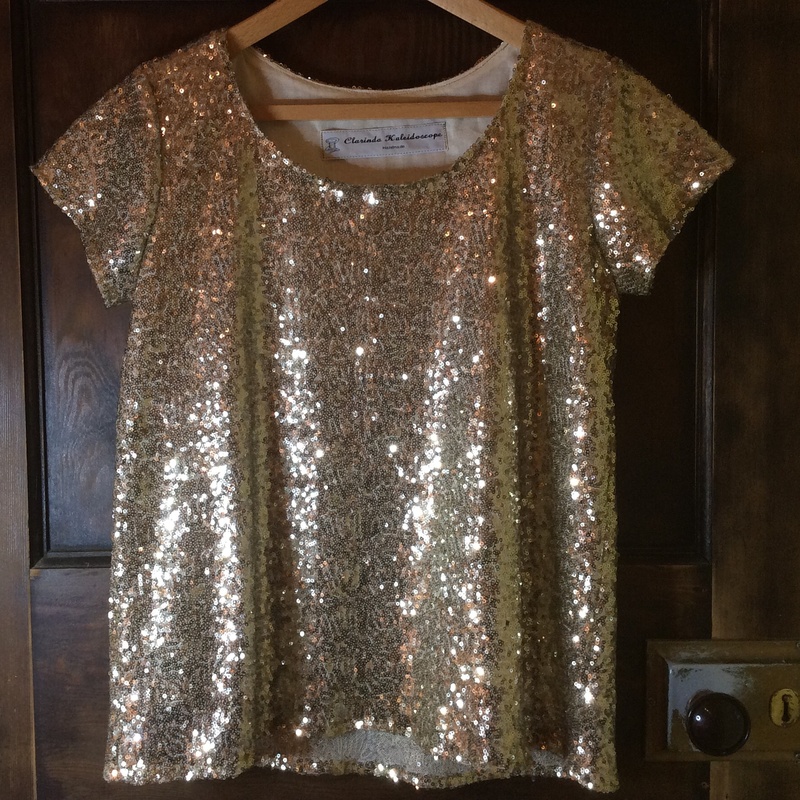 One particular post which inspired such purchases was this one from Did You Make That. 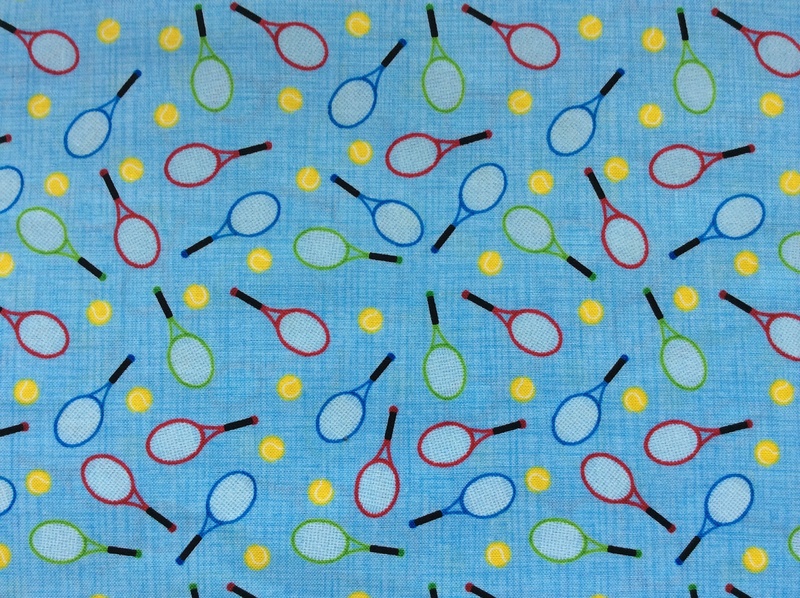 I ADORED the fabric – it reminded me of my holidays as a child. 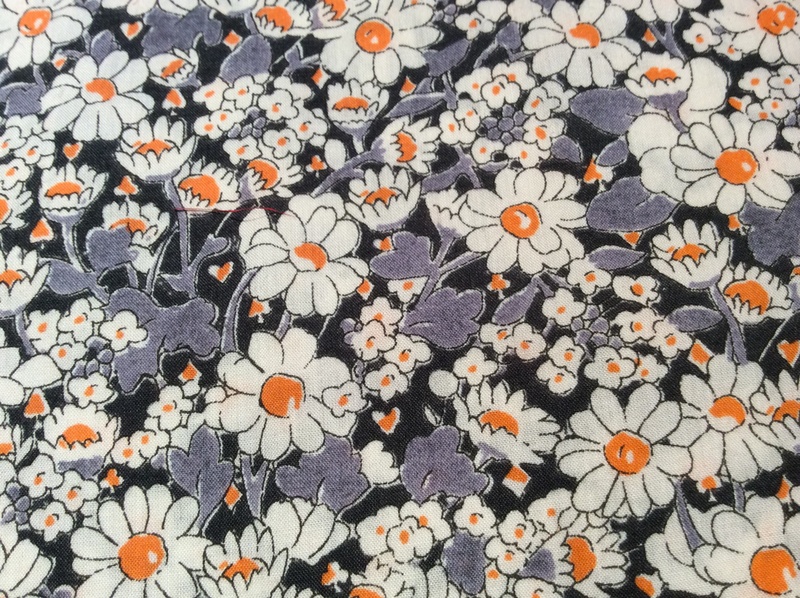 It was a tana lawn from Liberty and the design was called Isle of Wight. I didn’t go to The Isle of Wight as a child; we always went to Margate. 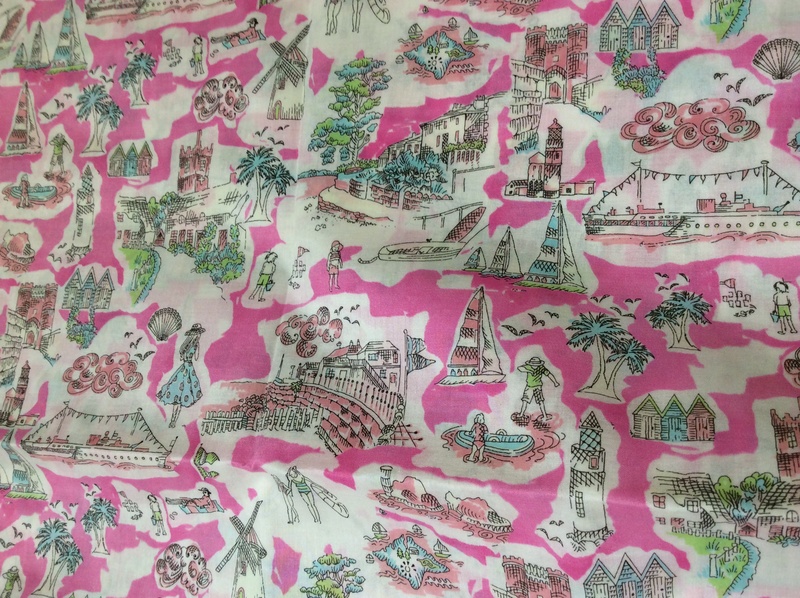 I have happy memories of going to Dreamland night after night after having spent my days making sandcastles and paddling; some of the illustrations in the print reminded me of those gloriously carefree holidays of my childhood. 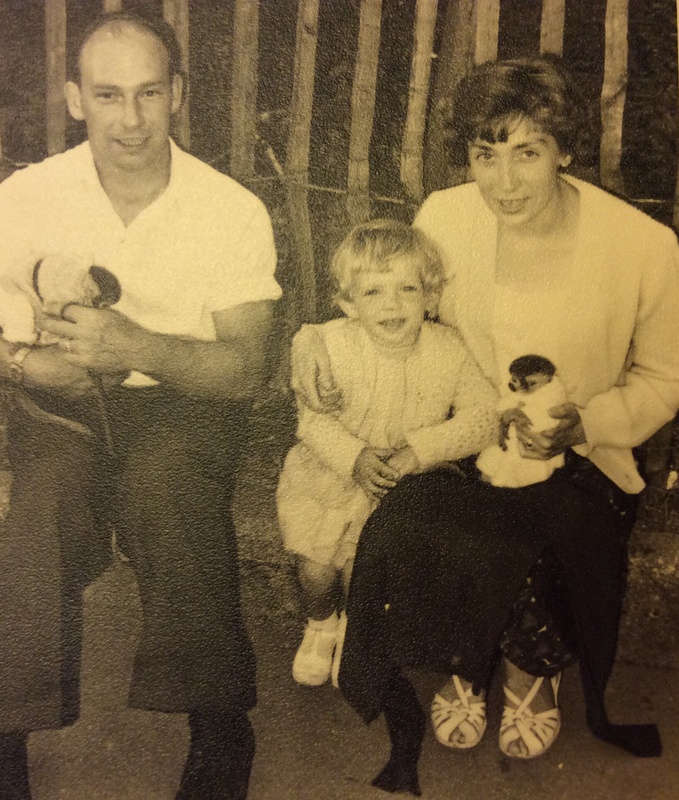 My parents never went abroad (few did to be honest from the little corner of South West London where I grew up) but many years later I took my parents on a day trip to the Isle of Wight. 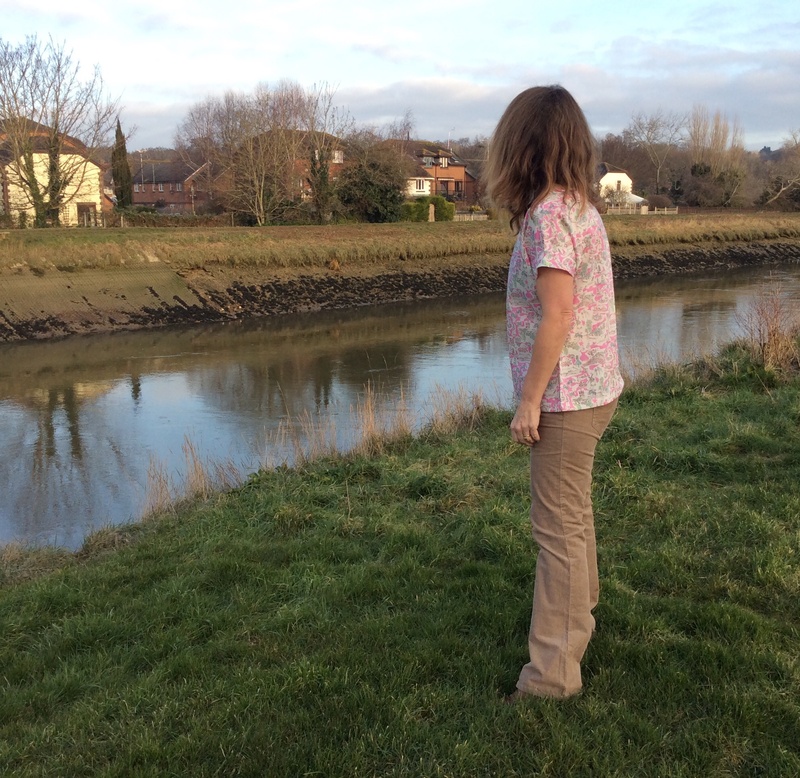 It was a really special day – my mum was so excited because she thought it meant she had finally gone abroad! The last family holiday I had with my own children, before they decided they were too cool to go on holiday with their parents, was to the Isle of Wight so it is a wonderfully nostalgic place for me. 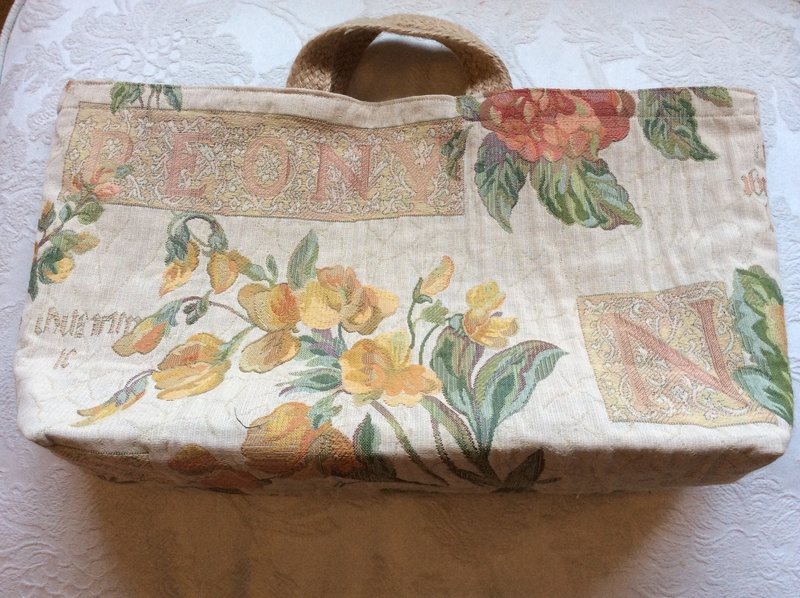 Having bought the fabric and pattern I put them in my wicker stash basket where they have languishfor the past six months. 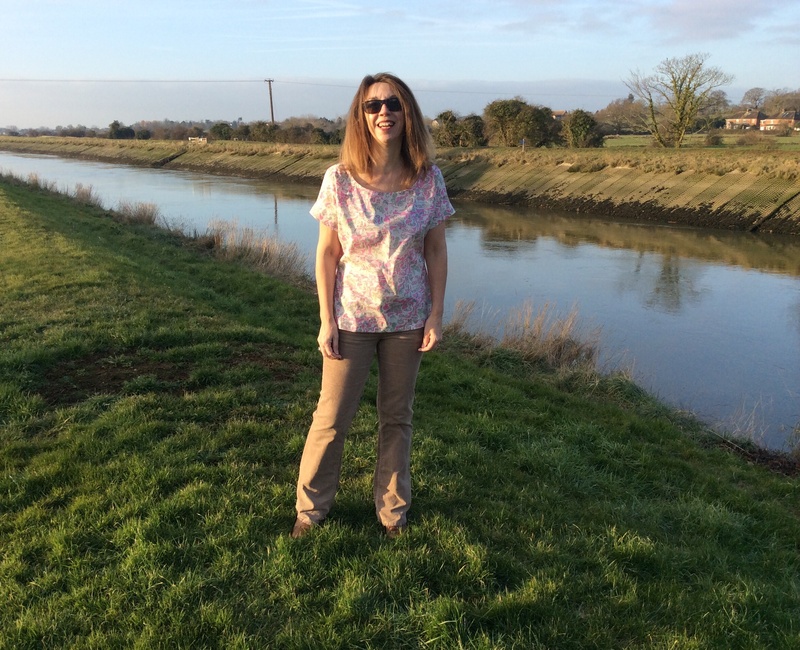 By the summer I decided I too wanted to blog to share my sewing adventures and in early August 2014 Clarinda Kaleidoscope was born. 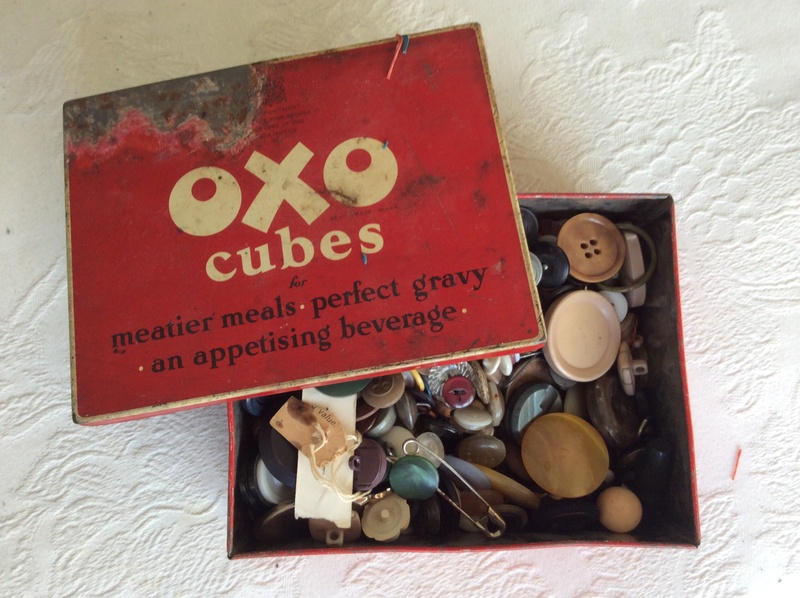 Retrospectively I realise I made a faux pas with the name because A. it is not easy to remember and B. it does not convey any sense that it is about sewing but, what can you do? In any case, I like it! 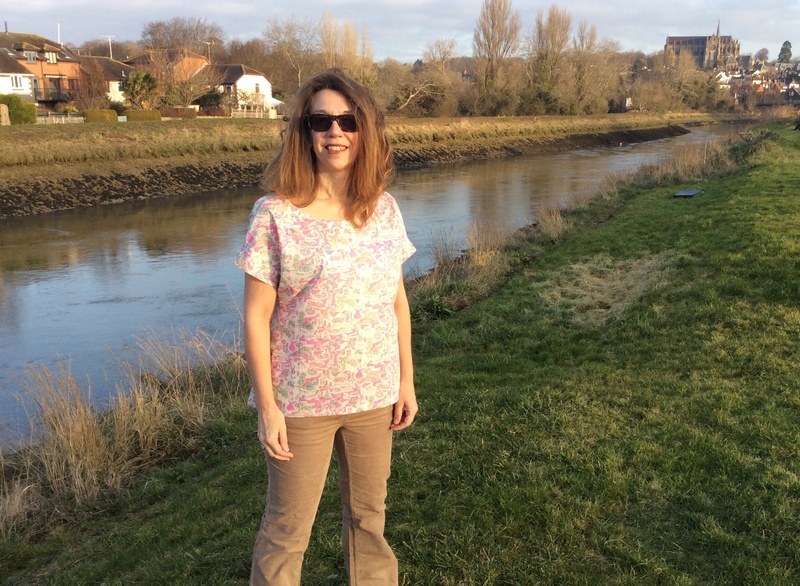 So I sewed, and blogged and got more and more involved in my new hobby – even making a running top for my other passion. 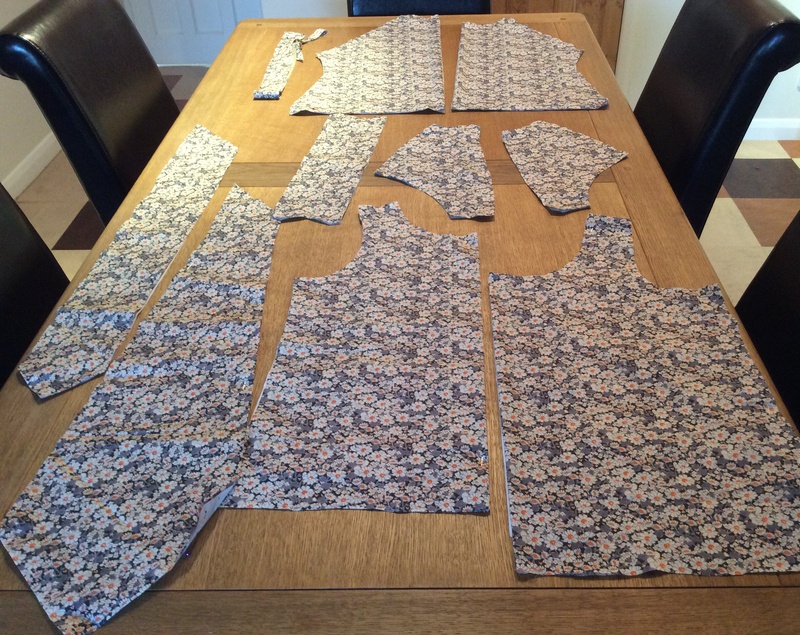 Since I’ve been sewing I have not run nearly enough – both are absolute time thieves. 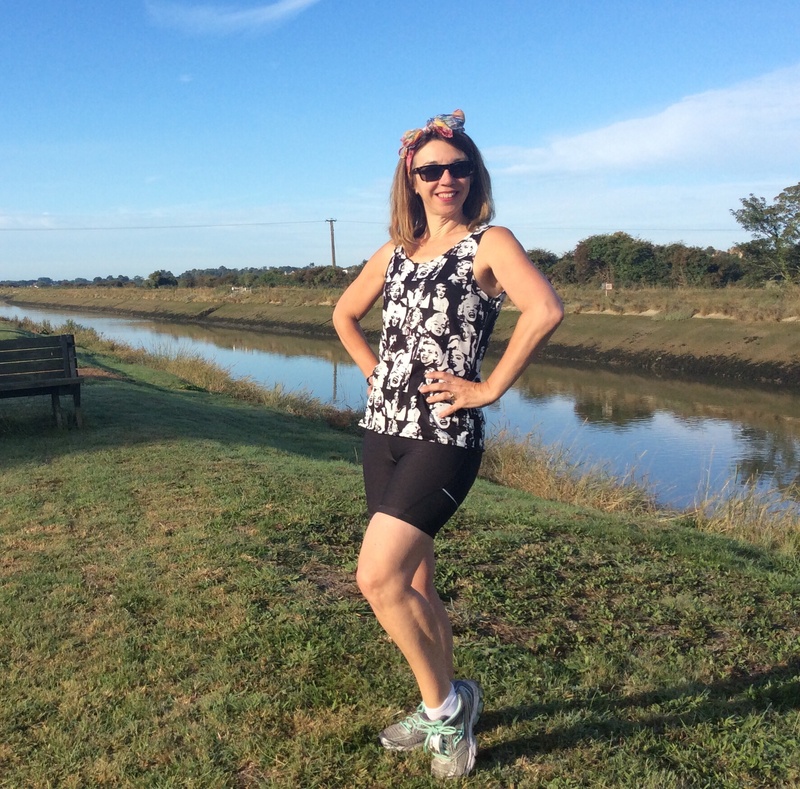 So I’ve had my machine for about nine months now and when the GBSB aired this week I was astonished at how much I knew compared to last time; I recognised bodices, techniques – I can even put in an invisible zip which appeared to cause some consternation! 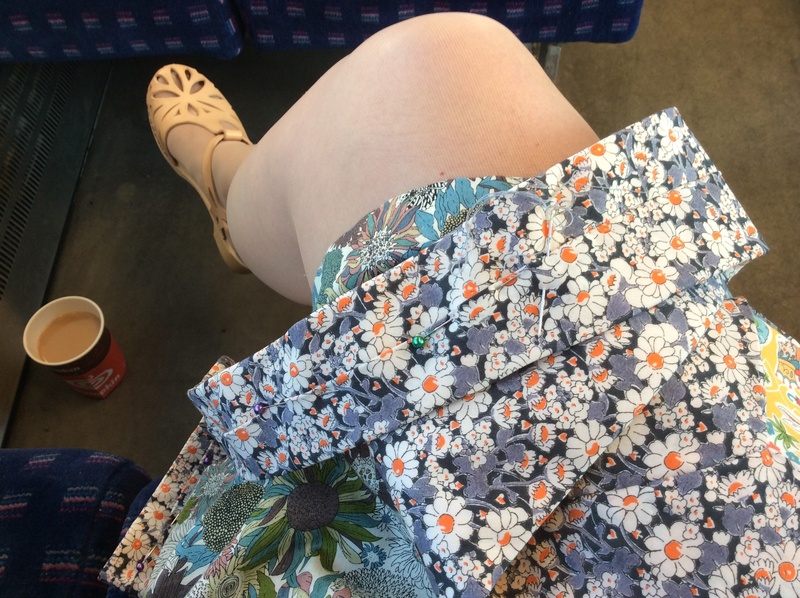 However, the thing I was most chuffed at was that one of the contestents, Amanada, whose blog I follow made her summer frock challenge in …. Isle of Wight Liberty Tana Lawn. 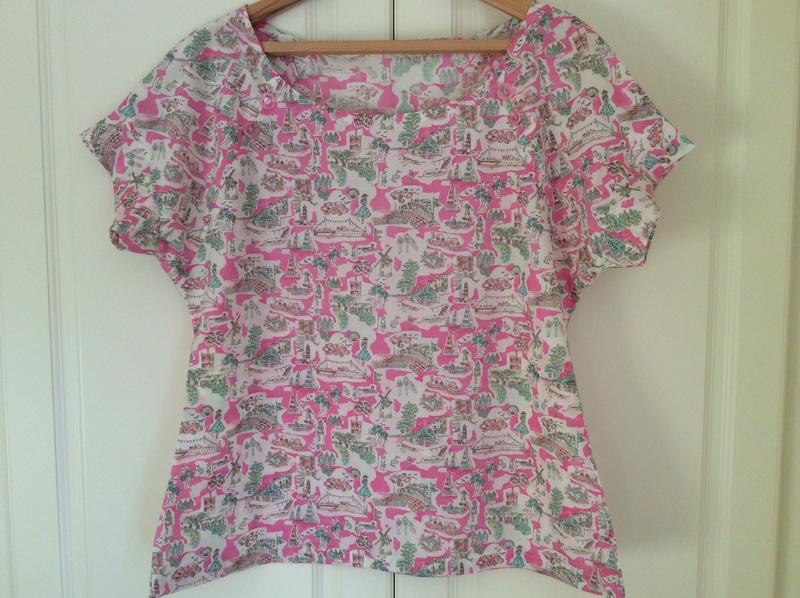 So, I abandoned my weekend sewing plans and decided to use my Isle of Wight to make Sewaholic’s Belcarra blouse. 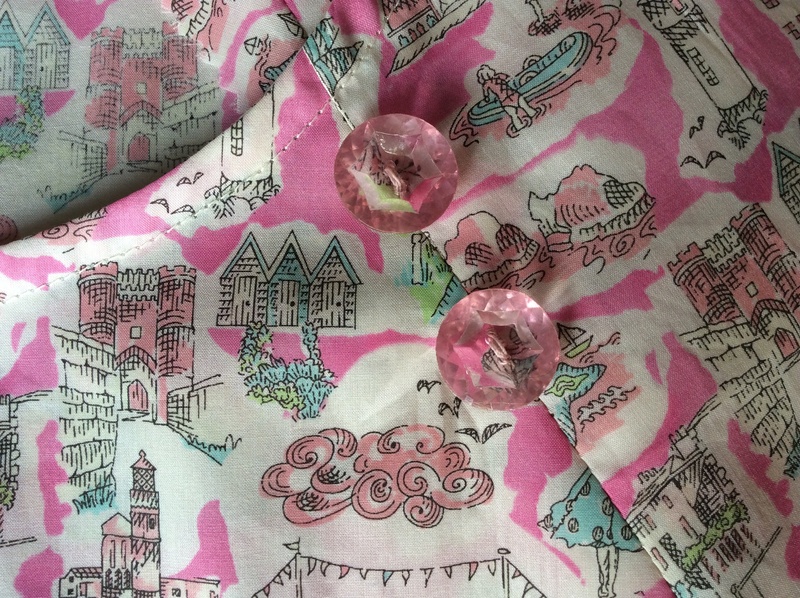 I was really pleased with how it came together and as I was feeling so nostalgic by this point, thinking of childhood and holidays of the past, and of course, my lovely mum, I decided to have a look through her button box to see if I could find anything which would go with my new blouse. 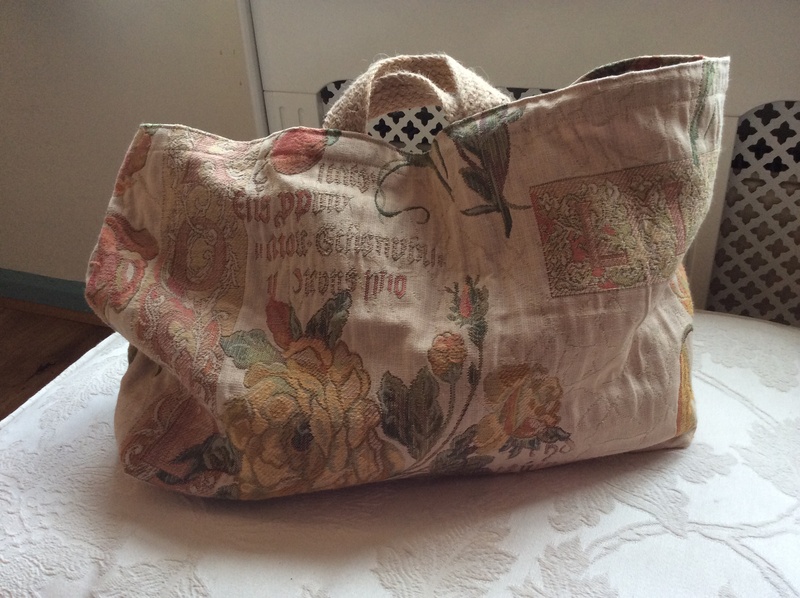 The Belcarra doesn’t have any fastenings – it just pulls over the head so the buttons I put on are purely decorative. They are incredibly subtle, barely noticeable in the photos but the pleasure for me is knowing that they are there – a little reminder of the precious past. Overall, I think the Belcarra is super versatile. 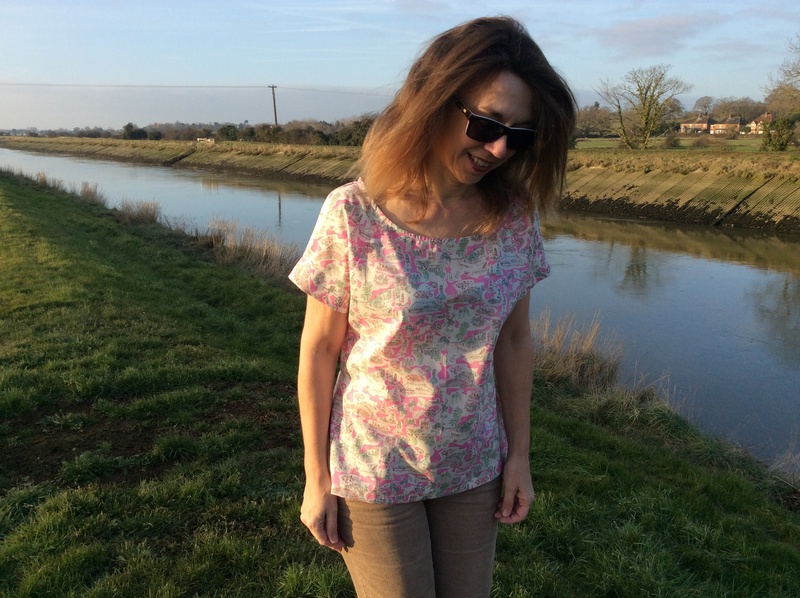 It looks a bit boxy here – I usually go for a size 12 equivalent but went with the measurements on the packet and cut a 10 – I almost think I could go a size smaller. 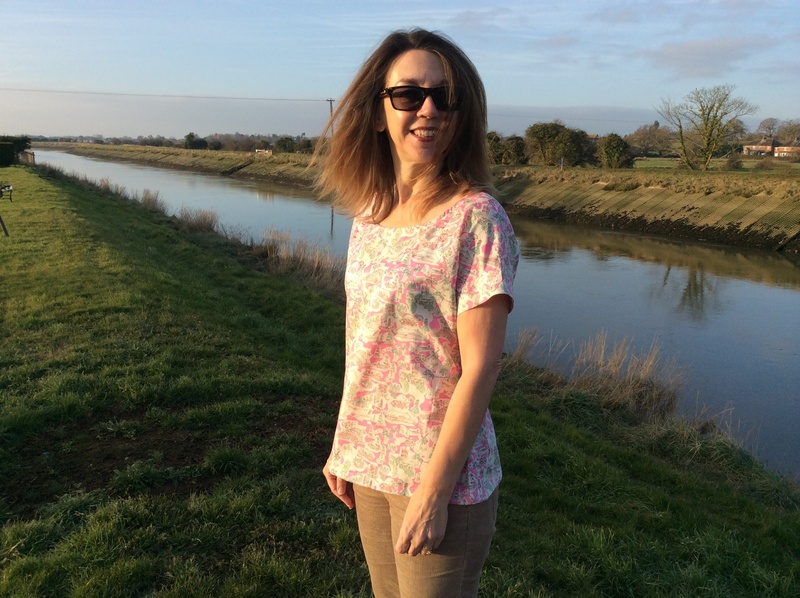 I think this will look great with denim shorts in the summer and equally good with a work suit – adding just a little bit of fun. 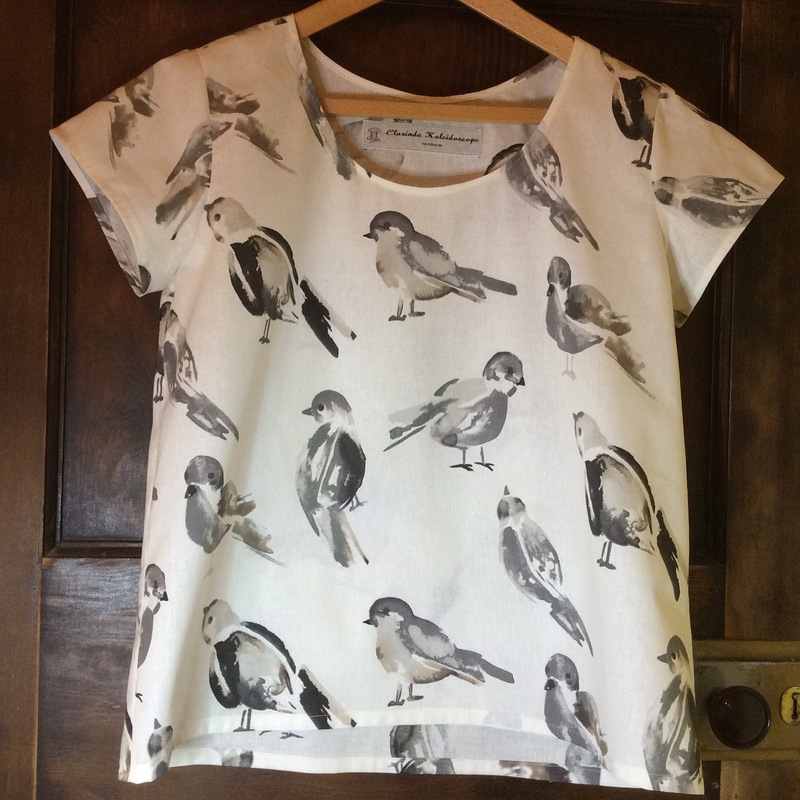 So, there you go, a few memories, places and people who have inspired me, brought together in one sweet little top.